Avoid spills and high-level conditions with early notifications. Floats tipped by surcharges and high levels signal Mission servers to initiate notifications via phone call, email, text message, fax, and/or pager. The secure web portal displays the date, time, and duration of the events. 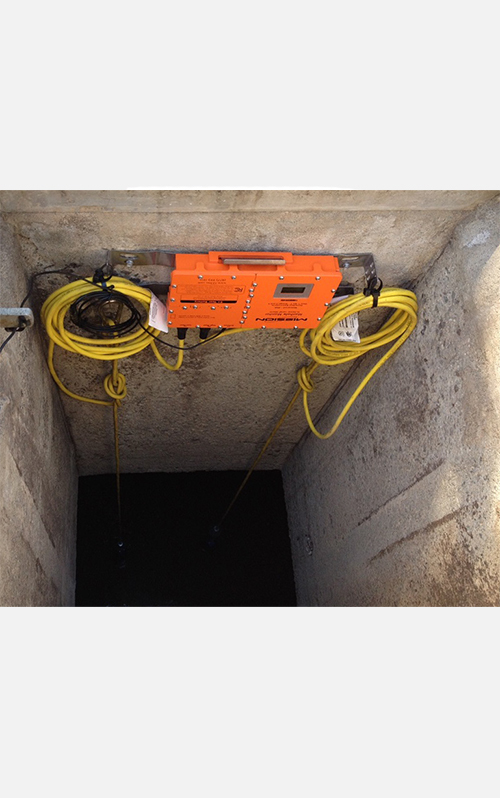 The Manhole Monitor is battery-operated with a quick connecting antenna and float terminations for fast and easy installation. 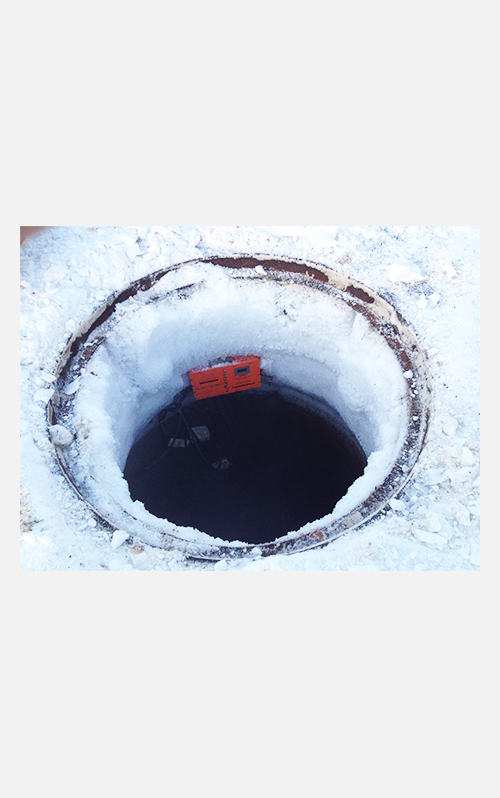 The cellular device installs in the chimney of the manhole using a versatile mounting bracket. The bracket allows the waterproof device to swivel upward during maintenance for convenient and easy removal. The unique in-ground antenna installs adjacent to the manhole. Installation can be completed with common tools and does not require manhole cover modifications or entry into the manhole. 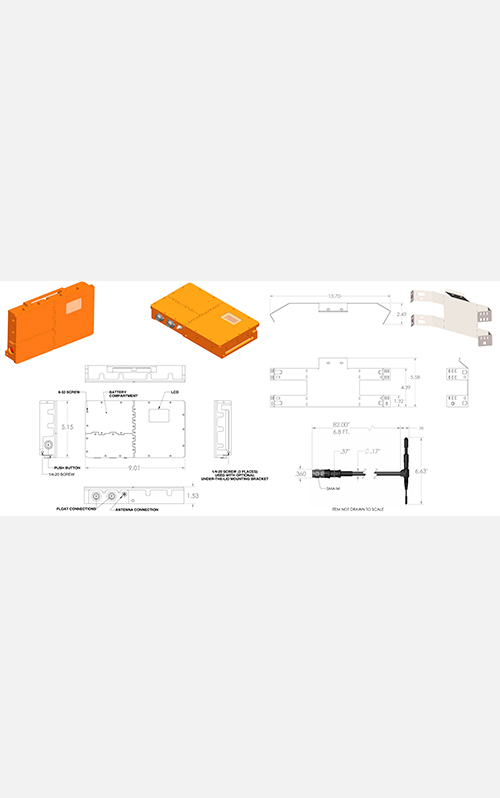 An optional under-the-lid mounting bracket is available for original equipment manufacturer (OEM) lid applications. 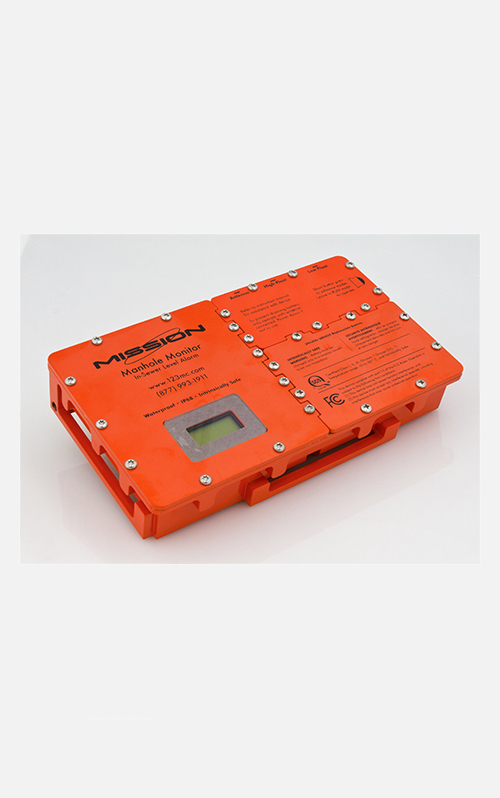 The rugged, metal enclosure is robust and serviceable. It features a replaceable battery and isolated termination and electronic cavities. The intrinsically safe device meets requirements for use in hazardous sewer system environments and is designed and tested to IP68 specifications. Startup is simple with a 16-character LCD that validates proper operation and displays optional advanced configuration settings. The user-accessible push button switch allows navigation through the display. Alternate languages can be selected. 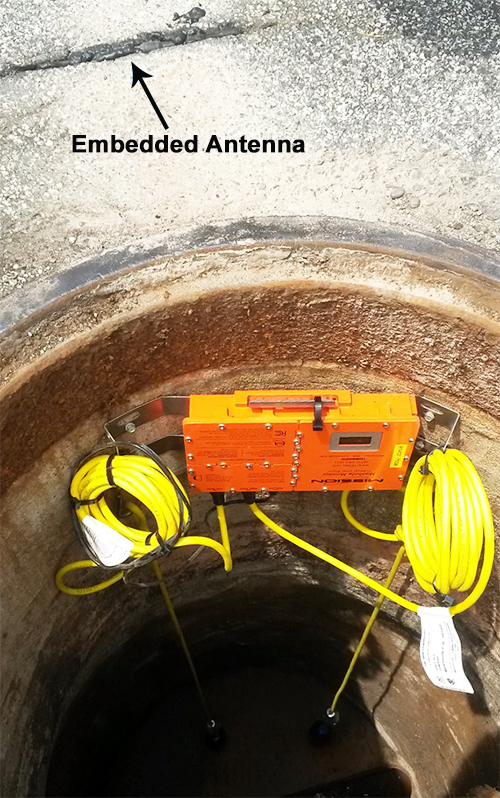 The advanced Manhole Monitor features 4G radios for reliable data transmissions. Unlike SMS messages, the device features fully acknowledged data payloads. There are no radios to program, cellular contracts to set up, or software programs to buy. The service includes all communications, data storage, alarm call-outs, reports, and technical support. Alarm conditions are recorded and reported in real-time while device health status is transmitted daily. All data and reports can be accessed from any web-enabled device, and the data is archived forever. No engineering or programming is required. The ultra-efficient circuitry draws minimal power from the field replaceable battery. This makes the low-power device capable of routine daily transmissions for more than five years.